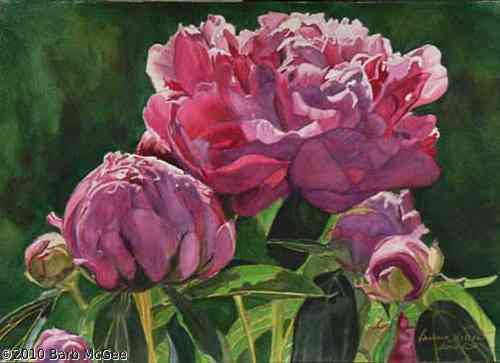 Peonies have been a favorite for years but I never thought I could paint them. My friend Avis started a whole series of pionies and she gave me the courage to try. We had a whole row of them in front of our house when I was growing up, what a sight when they were all blooming.